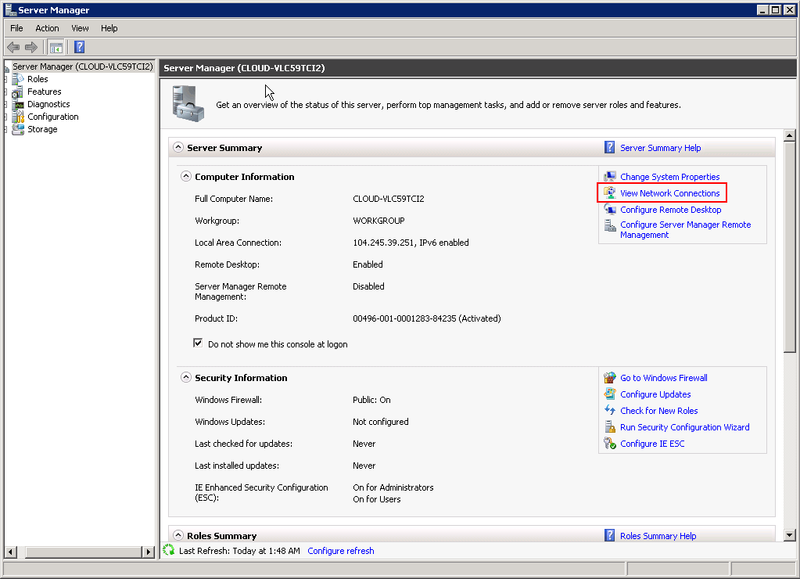 This guide will show you how to get to the Network and Sharing Center to edit your Network Interfaces. We usually use this to get to the Network Connections for configuration. 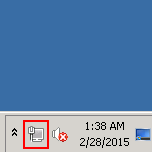 Because this is Windows, there are many different ways to do this. I will share some of the easiest ways to do it. Feel free to comment about this guide if you know another easy way that I overlooked! Most Servers will have the Network Monitor icon visible by default. 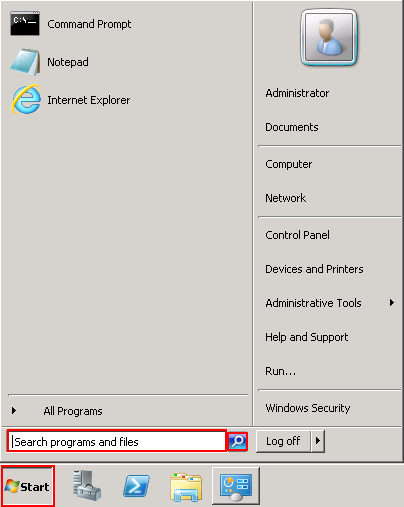 Next option is to use search from the Start menu. Click on the Start button, and type one of the main words “Network” “Sharing” “Center”. “Sharing” and “Center” will have the fewest options that pop up, so they will be your best bet, but any one of these will work.